CAN I LEASE A CAR FOR PERSONAL USE? 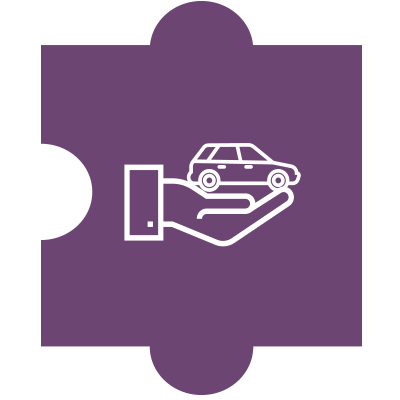 Personal Contract Hire (PCH) gives you access to a brand new or used vehicle, for a fixed monthly payment, with a contract length and mileage allowance tailored to your needs. We buy over 40,000 vehicles each year, which mean you can choose from lots of special offers at a price that suits you. Additional services such as maintenance and insured vehicle options can also be added to your lease. Take a look at the below products that we think are perfect if you are thinking of leasing a car for non business private use. All of our car leasing offers for business are also available for you to lease privately for personal use, you just have to include VAT. Take a look at our offers or configure a vehicle by clicking the button below. At Arval, we lease thousands of brand-new cars to businesses and private customers. When these leasing contracts finish – which could be after as little as two years - the cars are returned to us. And because modern vehicles are built to last, they tend to remain in excellent condition. We just need to give these cars a new home. Breakdown cover and road tax are included, with all vehicles in stock and available for immediate delivery. For additional peace of mind, choose our guaranteed maintenance or Arval Total Care package. Almost everything you need to operate a fleet car or van... just add fuel and a driver. Need to discuss your optoins?